Meditation or Mental Practice: Michael Phelps and his Olympiad Success! The Twitter: Brain Training for Gold Medals and more! A recent article in the New York times noted Michael Phelps’s 3rd grade teacher extending congratulations to Phelps and his family for the gold medal success. As we learn, Phleps in his early years had the teacher worried that he had “no focus” in his studies. (What 3rd grader has “focus” in academic studies?!!!) With Phelps now drawing world-wide attention to the glory of his strategic swimming, the teacher apologies with a realization: Phelps just had to find the subject that drew out his focused attention. Expectations of 3rd graders aside, Phelps’s victory is his to savor for years to come for he has proven to himself and to the world that consistent physical and mental training over time can transform our lives in ways that reach beyond our imagination. Clearly, Phelps and his swim team buddies have mastered the art and science of “concentration” or “focused attention” — practices that might be considered comparable to the astounding feats of attention practiced by Buddhist monks submitted to recent neuro-scientific studies. Turning to the neuroscience camp, we learn the years of focused attention, of bringing “mindfulness” to our actions makes significant neurological changes in the brain. As science writer Sharon Begley reminds us in TRAIN YOUR MIND, CHANGE YOUR BRAIN, the matter of morphing brain tissue comes down to a simple fact: You’ve got to want to change it for the brain to change. No doubt, Phelps and his crew wanted to break records, win gold medals, perform at the top of their game. The reason for such bold desire? We can leave that to enlightened or nefarious speculation, for the real story here is this: Hot, passionate, and inspired human desire enables dedicated action. Dedicated Mental Practice transforms the brain….and body. I vote for inviting Phelps and the American men’s swim team into the brain labs of UCLA, University of Washington, or Wisconsin to test their neuronal abilities to “pay attention.” And then let’s bring in full tilt Olympic education into the school system so that 3rd graders can be inspired to do their thing. 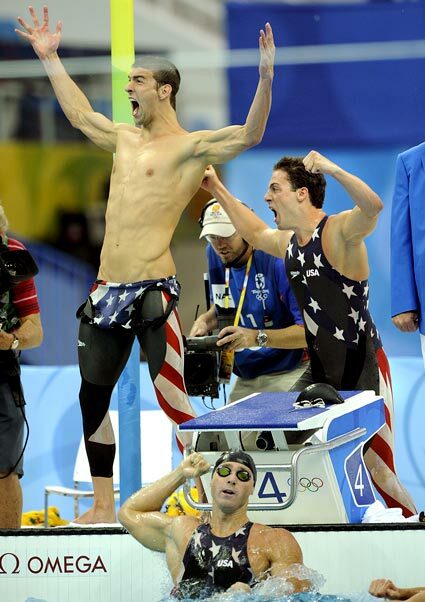 Michael Phelps: You Go Girl! 1) Best way to begin: Pay close and intimate attention to breathing, whether you’re walking, swimming, or lying down. Notice the feeling of breathing — whether breathing takes up a lot of room or very little room, whether breathing feels fast or slow. Visualize breathing — get a sense of where it actually takes place in your body. 2. Set aside a little time each day to “pay attention” to your breath and use a timer, so you don’t have to keep track of the minutes. Master one sequence of time before adding more minutes. 3. 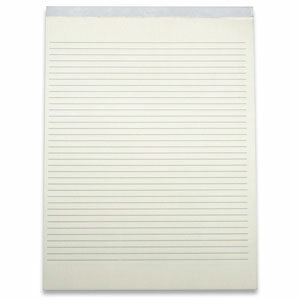 Keep a written record of your time so you can 1) notice the sequence of improvements and 2) make a felt, embodied connection between your inner sense of mastery with an outer account of recorded time. 4. Invigorate yourself with reading on how to motivate and change your brain! Several suggestions have already been noted in this blog. For history buffs — check out the “Zen and the Art of Archery” — a classic on mental practice and meditation. This entry was posted on August 20, 2008 at 1:49 am and is filed under Advances in Neuroscience, Body Maps, Brain, Breath, Meditation, Mental Practice, Mind over Matter, Mindfulness Practice, Neuro-Respiration Technologies, Neuroplasticity, Neuroscience, Somanauts, SpaceSuit Yoga. You can follow any responses to this entry through the RSS 2.0 feed. You can leave a response, or trackback from your own site.